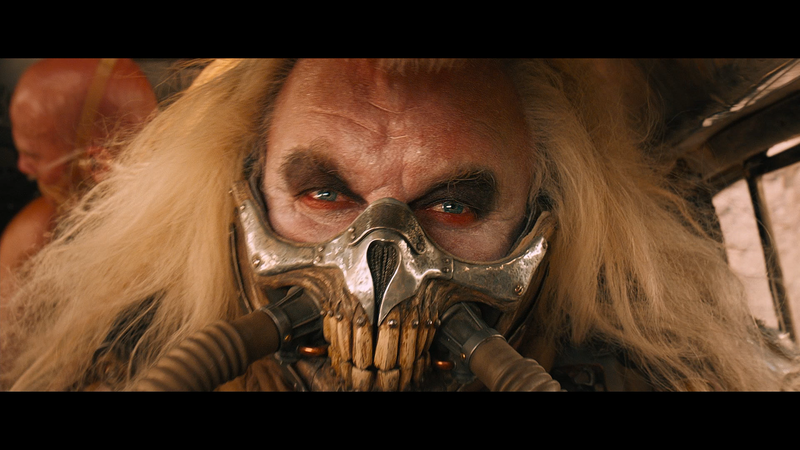 George Miller’s sequel, 30 years after the last installment, Mad Max Beyond Thunderdome, is, on the surface, yet another cash grab and revitalization of a once dormant franchise (see Rocky, Rambo even Dumb and Dumber To and Anchorman 2) but what we get instead is one of the most insane film experiences in quite some time and easily the most entertaining film of 2015. The film opens, presumably not long after the events of Beyond Thunderdome, with cop-turned-Road Warrior Max Rockatansky (TOM HARDY) getting captured by a group of foot soldiers working for a tyrant named Immortan Joe (HUGH KEAYS-BYRNE) for the use of blood transfusions for the ailing War Boys, in this case one named Nux (NICHOLAS HOULT). 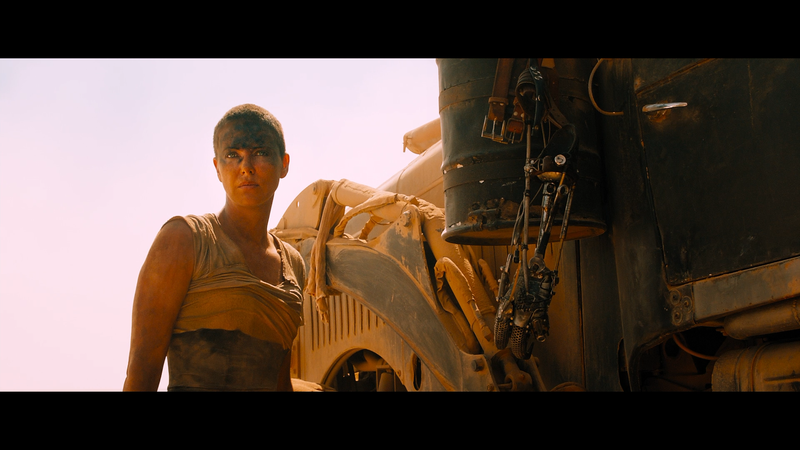 When Joe and his gang go out to capture Furiosa (CHARLIZE THERON) who has taken a convoy set for a supply run off course to take four women, Immortan Joe’s baby factory more or less, to safe haven to the Green Paradise from whence Furiosa had come from as a girl before she was kidnapped. With Max hooked to the hood, in an image prominently promoted, of one of the pursuing vehicles serving as a blood bag for Nux. 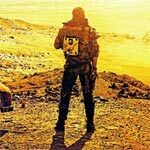 During the chase, after many crashes and clashes with another hostile group, Max manages to escape and after a few tense moments opposite Furiosa and the five brides, they join forces to escape Joe and his army. Mad Max: Fury Road is that simple. It’s not a complicated plot and outside of a few flashbacks for Max, the character development is straightforward yet effective enough to keep ones interest in the outcome of these outlandish but fun personalities. 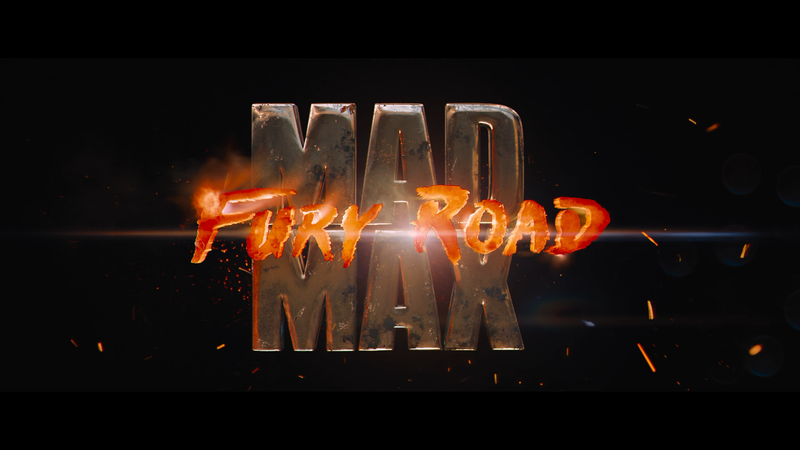 As has been pointed out, while the title is “Mad Max,” this is more of a joint effort with Furiosa with some arguing she was the main character and to a certain extent, her development from the opening to finale was far more extensive while Max is more or less left in the same position searching for a home where none exists. With the bulk of the movie being an action-adventure spectacle, with emphasis on incredible stunt work, the performances may seem secondary but I thought the bond between Hardy’s Max and Theron’s Furiosa was pretty effective as was Nicholas Hoult as Nax, a character one thought was merely superfluous, yet by the end you actually will have sympathy for him, as someone beyond one of the villain’s numerous and dispensable villains. Director George Miller, who also co-wrote and produced, and going into his 70s, still has the magic touch and the perfect person to extend the Mad Max franchise where oft times a studio would hire one of their up-and-comers who generally are more interested in paying homage to the older franchise (see Terminator Salvation) than making something new and for Fury Road, it’s its own movie and though I don’t think it’s an outright amazing flick, it’s one of the more insane experiences with some of the best and high-octane action captured on film with just enough character to make it a worthwhile experience than another dumb actioner. This 3-disc set (3D BD, 2D BD, DVD) comes housed in a standard Blu-ray case and with a lenticular slip cover. Inside is a redemption code for the Digital HD Copy. Maximum Fury: Filming Fury Road (28:38; HD) – This behind-the-scenes featurette outlines the making of the movie and includes interviews with members of the cast (including Tom Hardy, Charlize Theron and Nicholas Hoult) and crew (George Miller and others). They give insights into the origins of the project from storyboards to the production itself. Mad Max: Fury on Four Wheels (22:37; HD) breaks down the variety of vehicles used and how they were designed and built. The Road Warriors: Max and Furiosa (11:18; HD) introduce us to the film’s two main characters and hear from Tom Hardy and Charlize Theron, as well as others, discuss what drew them to their respective roles. Interestingly, Hardy had met with Gibson and got his blessing. The Tools of the Wasteland (14:26; HD) delves into the prop and production designs in taking something old and repurposing it for this apocalyptic world. The Five Wives: So Shiny, So Chrome (11:11; HD) looks at the different actresses portraying the wives. Deleted Scenes (3:20; HD) – We get three scenes which were scrapped. Without any commentary there’s no reason given but I assume it was over pacing. 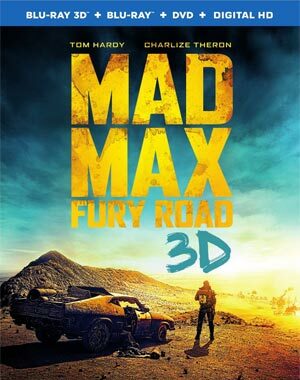 Warner Home Video releases Mad Max: Fury Road onto Blu-ray presented in its original 2.40 widescreen aspect ratio and a 1080p high-definition transfer. The picture quality is fantastic with excellent detail levels all through as well as natural film noise giving it a more theatrical experience. 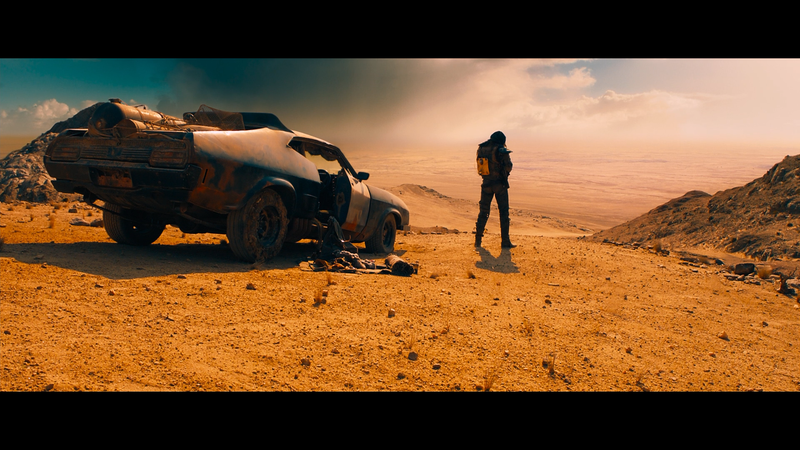 Colors are also well balanced though George Miller’s over stylization will give warm tones in certain scenes and utterly cold in others (mainly nighttime shots). Even though it’s not natural, it does give the film a distinguished look. The 3D transfer is also well done with brilliant depth for both the stable shots to the action-packed chase scenes and there were no major instances of ghosting. Thanks to how some of those aforementioned daytime shots look; it’s a bright looking movie. Mad Max: Fury Road is the latest film to be given the Dolby TrueHD Atmos treatment and as before, if you’re equipment is unable to decode Atmos, it will output a still impressive 7.1 channels. This lossless track is amazing through and through with a robust and resounding depth while also giving the minor aspects, like ambient noises, their due primarily via the rear channels where JunkieXL’s rock score screams across each channel with, well, fury. 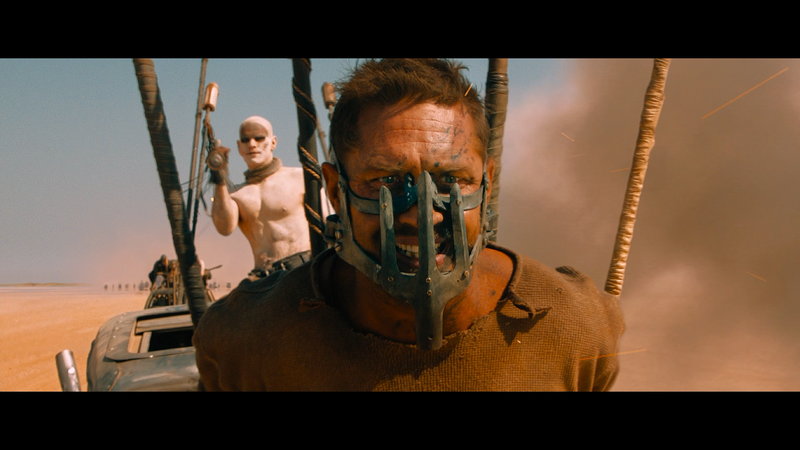 Overall, Mad Max: Fury Road is a title that lives up to its name. The action is incredible and the characters outlandish yet awfully fun. It’s a great revival of the franchise from the creator himself and it features some of the most impressive stunt work captured to film with only moderate use of CGI to tie it all together rather than used as a crutch. This is well worth at least a rental as it’s not for everyone, especially those not familiar with the older films, however if high-octane action is your thing, this is easily a day one purchase. The 3D Blu-ray combo pack released by Warner Home Video features fantastic video and audio transfers and a fine selection of bonus material to peruse.